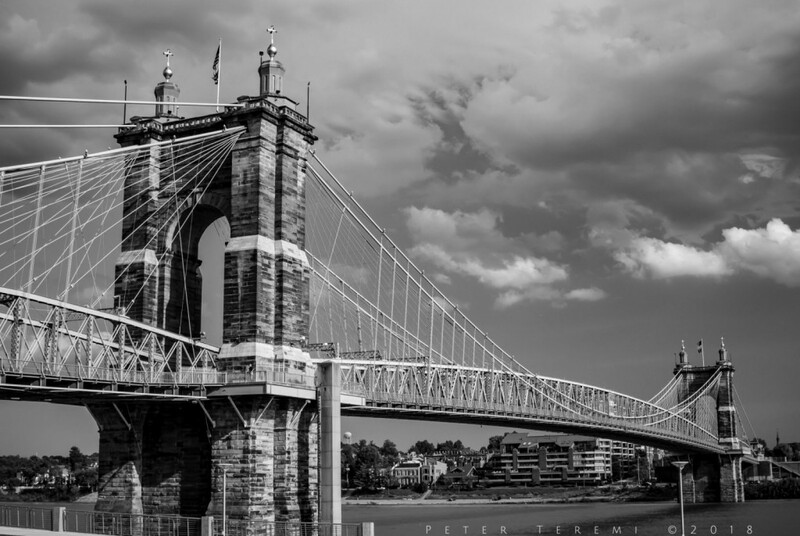 The John A Roebling Suspension Bridge, dedicated 100 years before I was born, stands in timeless splendor, connecting the communities of Covington and Cincinnati. At the age of 50, I marvel at how a black and white photograph of this beautiful structure, can transport one to an era when steam driven paddle wheels moved people and goods from port to port. Keep on rolling on the river my friends. Brought to you by Murphy-Cam!